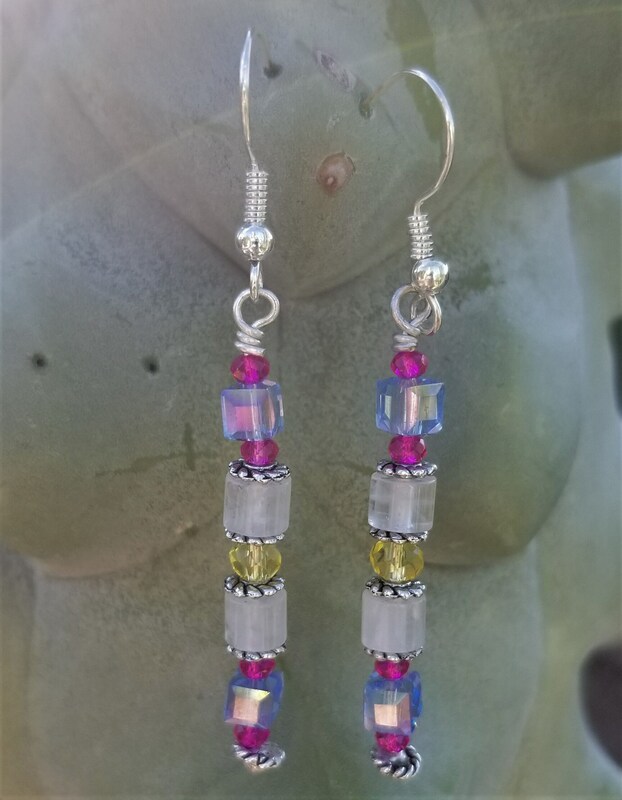 Lovely faceted Swarovsky crystal beads in vibrant colors are the story of these wonderful earrings. Lots o' bling for your ears. The earrings are approximately 2" long. These earrings match the Swarovsky crystal necklace and bracelet found in the Other Necklace section and the Bracelet section respectively.